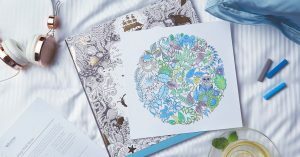 Hong Kong, China, September 29, 2016 /ChinaNewswire.com/ - AccorHotels is delighted to announce the launch of Pullman Artist Playground in Greater China. 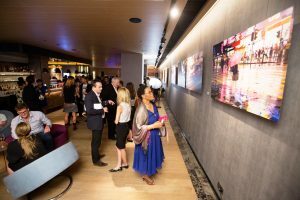 The Park Lane Hong Kong, A Pullman Hotel is inaugurating the new brand’s signature global art initiative with an exciting display of images from Hong Kong-based US photographer Michael Kistler’s Urban Nightscapes series, ‘Melt with you’. Pullman hotels are recognised for their vibrant urban locations. The brand embraces design, art, photography and local culture. In the new Artist Playground concept, the hotels worked with various renowned global artists and designers to breathe life into this vision to make art more dynamic and meaningful. The Pullman Artist Playground forms part of the gallery and studio concept which creates new and timeless experiences for guests through a blend of elements in local interest, unique culture and visual ingenuity. The exhibition will run from now until mid-February 2017 at the Ebb & Flow lobby lounge, a contemporary buzzing hotspot in the heart of Causeway Bay. Featuring a modern design, cutting edge tech elements and delectable food options, Ebb & Flow ensures a trendy vibe in line with the modern era of experiential lifestyle. More than just a hotel lounge, the forward-thinking concept of Ebb & Flow brings a seamless blend of innovation, comfort, discovery and epicurean fare, the venue of choice for the young millennial and global nomads in today’s hyper-connected world. 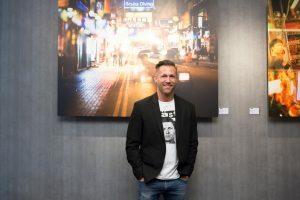 Curated by the internationally acclaimed Galerie Junger, Kistler’s eight thought-provoking artworks can be viewed on many levels where he uses unconventional perspectives and focuses on one-of-a-kind moments of collision, co-existence and merging of cityscape and urbanites. These pictures successfully capture the distinctive characteristics of Hong Kong’s permanent cityscape and the impermanence of its inhabitants. Born in Minneapolis, USA, Michael Kistler has spent 15 years in Asia, including a decade in Tokyo where he developed his characteristic photographic style, using his lenses to experiment with blur, movement and other abstract elements. Currently based in Hong Kong, he is fascinated by what is often the abstract human element and its connection to the concrete city. For him the urban landscape provides permanence while people come and go, creating a dynamic environment of fleeting moments. Michael Kistler’s work has been widely exhibited and published. 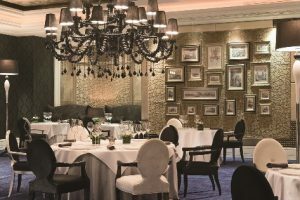 The Park Lane Hong Kong, unveils a HK$300 million makeover, rebranding itself as ‘The Park Lane Hong Kong, a Pullman Hotel’ as of 1 January 2015. Located in the heart of Causeway Bay, The Park Lane Hong Kong, a Pullman Hotel offers well-appointed rooms with breath-taking views of the city landscape, Victoria Park and Harbour. 832 stylish guest rooms deemed the most spacious in town overlooks the famed Victoria Harbour, Victoria Park and the city. The Hotel features two restaurants and a bar, including the city’s most anticipated SKYE roof bar and restaurant opened on 8 September. Global nomads are captivated by the brand and appreciate its business, fitness and restaurant facilities as well as its focus on innovative design. Pullman has over 117 hotels and resorts in 31 countries in Europe, Africa, the Middle-East, Asia Pacific and Latin America. AccorHotels, the world’s leading hotel operator, is present in 95 countries with more than 4,000 hotels and 240,000 employees. 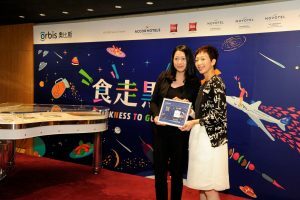 Hong Kong, China, September 27, 2016 /ChinaNewswire.com/ - AccorHotels supported the Orbis Darkness To Go charity dinner in Hong Kong on September 25. For the second year in succession, the group's properties in Hong Kong joined forces in supporting this very successful event. 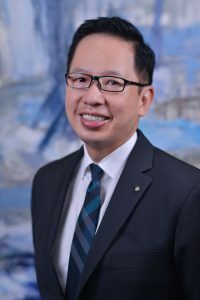 The participating hotels were The Park Lane Hong Kong, a Pullman Hotel, Novotel Hong Kong Century, Novotel Hong Kong Citygate, Novotel Hong Kong Nathan Road Kowloon, ibis Hong Kong Central & Sheung Wan and ibis Hong Kong North Point. 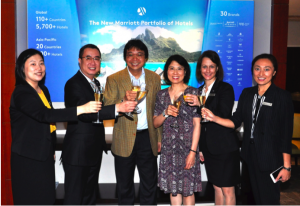 This very special theme event took place at Novotel Hong Kong Century. More than 200 guests attended and the evening raised over HK$180,000 for charity. This dinner offered participants the unusual experience of relying on only four of their five senses – sound, taste, touch and smell – as their eyes were blindfolded throughout the meal. The aim of the event was to do more than fundraising as it was also intended to help participants reach a better understanding of the challenges faced by the visually-impaired. 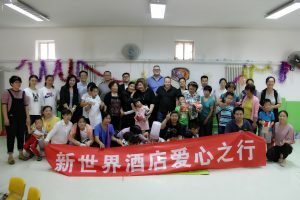 The Darkness to Go dinner was part of the group's continuing Corporate Social Responsibility (CSR) programme aimed at preventing avoidable blindness among children in rural China. Since June 2014 AccorHotels and Orbis have collaborated in Stay for Brightness CSR programme. Designed and implemented with the aim of developing comprehensive eye care for children, this programme helps to make high quality ophthalmological services accessible and affordable for disadvantaged children. London, United Kingdom, September 27, 2016 /ChinaNewswire.com/ - Scientists from London based UltraCap Ltd., are in the final stages of developing a 'green' solid state battery for electric vehicles that they claim will be 40 times lighter than current Lithium-Ion batteries. UltraCap founders, Professor Vladimir Krstic and Nico Van Dongen, say their new battery, the UltraCapacitor, will be able to charge within minutes and that, eventually, a pocket sized version of the battery will bring us one step closer to emission-free transportation. 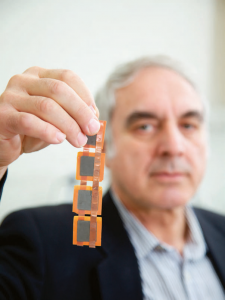 The key to Professor Krstic's invention is a ceramic-based, high capacitance capacitator that, unlike current chemical-based solid-state batteries (such as the Lithium-Ion battery), is eco-friendly. Krstic says: "Right now, electric car batteries are acid-based, toxic, environmentally-unfriendly and heavy with a limited life span. Moreover, charging stations remain scarce. Our UltraCapacitor will significantly reduce the long hours currently required to recharge electric cars. It can endure millions of charging cycles, is fully recyclable and contains no environmentally harmful elements. It paves the way for zero-emission transportation worldwide." Krstic has already proved that his ceramic battery can contain much more electricity in a smaller size than current chemical based batteries. This is due to a multi-layered capacitator design, containing a ceramic di-electric non-conductor. What happens is a number of these capacitators are daisy-chained together to form a small, lightweight green battery. Using this technology, the release of electricity is not limited by chemical reaction rates, so electric cars can recharge in minutes as opposed to hours. Furthermore, production of this next-generation battery will be cheaper and cleaner, making electric vehicles more affordable in future. The company is currently developing a prototype that is anticipated to weigh less than 20kg (the Tesla Model S 70kWh battery package weighs 535kg) and deliver five consecutive hours of driving. Once complete, the prototype will be fully tested in an electric car. Krstic believes the technology can be improved further and that heavy chemical-based batteries will soon become redundant: "We can make the ceramic di-electric much thinner and lighter without losing electrical capacity and create pocket size car batteries in the near future.' The technology has the potential to revolutionize the way electrical energy is stored and transported. Due to high energy density and small size, it will be possible to charge the device in all regions of the world where electricity is abundant and inexpensive and then transport it to urban areas where it is needed the most." UltraCap is currently looking for funding to develop the project further. Krstic is co-founder of UltraCap Investment Ltd and a professor at Queen's University, Kingston, Canada with a track record in managing government and private sector funded projects for more than 30 years, Dr. Krstic has successfully completed more than 30 different projects funded by various federal and provincial programs, as well as private sector companies. He is also inventor of several new technologies and has authored and co-authored eight patents in the area of advanced functional ceramics. Visit http://www.ultracapacitor.info/ for more technical information. For an exclusive interview with Prof. Dr. Krstic, please call Nico van Dongen at Tel: +(44) 020 3239 4071 (email: [email protected]) or Professor Vladimir Krstic at +(1) 613 533 2760 for any technical questions. 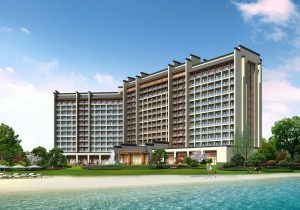 Shanghai, China, September 26, 2016 /ChinaNewswire.com/ - AccorHotels and Wanda Group have jointly announced the opening of three new hotels under Pullman, Novotel and Mercure branding in Hefei, Anhui Province. This latest project is a key development under the Hefei Wanda Cultural Tourism City. This is the province’s largest hospitality investment with a total construction land area covering over 900,000sqm. Featuring 577 guest rooms and suites with a private balcony, Mercure Hefei Wanda offers guests warm experience with its locally inspired room designs and architectural surrounds. Dining options include one restaurant and a bar that offer an extensive range of international cuisine. Fitness enthusiast can look forward to a complete work out at its indoor gym. For meetings, events and team building activities, the hotel features four meeting rooms that can accommodate up to 140 guests. Hefei is a prefecture level city, the provincial capital of Anhui. It is less than an hour from Nanjing and two hours from Shanghai by high-speed train, and one hour from Shanghai by plane. 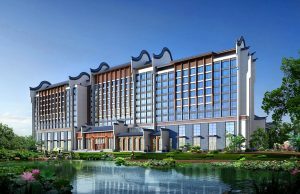 The triple AccorHotels’ opening form part of Hefei Wanda Cultural Tourism City, a multi-faceted investment project in the heart of Wanda Hefei International Resort Complex at the centre of Binhu District which is a 10 minute drive from the city’s downtown area. The resort complex offers a world-class holiday and tourism destination for travel, shopping, and recreation which includes a cultural theme park, a high-tech film park, an indoor aquatic park with constant year-round temperature, a shopping Mall and various food and beverage outlets. Hong Kong, China, September 22, 2016 /ChinaNewswire.com/ - You're a journalist whose article deadline is fast approaching and you still need a few more sources and background to make your story standout. Where do you go and how do you find the right expert for inclusion in your article? Prayers for many journalists in Asia were answered last year when Pitch.Asia launched. Pitch.Asia launched in September 2015 as the definitive platform for connecting journalists to experts in Asia. 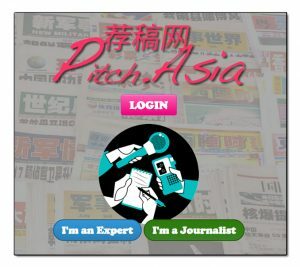 Now with over 20,000 registered users, Pitch.Asia connects journalists with experts ready to provide insight into important news-worthy topics at https://www.Pitch.Asia. Pitch.Asia provides a news dashboard covering business, political, and social news from across Asia from Afghanistan to Japan and down to Malaysia; online job boards for journalists; a query service for reporters to seek comments from registered industry experts; and online forums for journalists to exchange knowledge. Registration continues to be free for both experts and journalists. Journalists login to Pitch.Asia and post media queries. Experts are then emailed queries from journalists. If an expert thinks he/she is able to respond, then the expert responds with appropriate information. The journalist's contact details are kept secret and provided with special redirection emails so experts won't abuse their access to the media.Ultimately, if the journalist uses the expert's statement, then the expert gains valuable media exposure, for free. Experts help reporters, and the reporters help the experts! 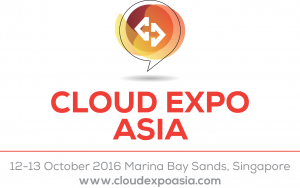 Singapore, September 21, 2016 /ChinaNewswire.com/ - Cloud Expo Asia is the very best place to discover the industry's newest and upcoming technologies and business solutions. Make plans to source from 300 leading cloud providers and solution leaders including Dell, Huawei, BT Global, IBM, Red Hat, Digital Realty, CenturyLink, StarHub, IMIT Advisory, Intel, Ericsson and many more. Be inspired by some 300 prominent industry experts from blue-chip companies, leading organisations, service providers and innovative SMEs including Standard Chartered Bank, INTERPOL, Yahoo!, Jones Lang LaSalle, PT. Bank Commonwealth, Lonely Planet, Eltek ASA and many more – all speaking in a compelling conference and seminar programme, which covers all the major technology and business issues. You will be able to network with thousands of your peers, industry visionaries, leaders and people who have faced – and overcome – the same challenges as you. Benefit from our brand new feature – Smart IoT Singapore, a platform for practitioners to explore this exciting new area of innovation. And visit our industry-leading sister events for free on the same ticket access– Data Centre World, and brand new launch event Cloud Security Expo, covering the critical issues of keeping cloud safe and secure. Come and join the senior IT decision makers from enterprises, public sector, SMBs and service providers making both cloud investment and strategy decisions and developing and executing specific technology projects. Singapore, September 21, 2016 /ChinaNewswire.com/ - Cloud Security Expo Singapore, to be held October 12-13, 2016 is the only cloud security event in Asia that will help you find the all right solutions to your cloud security concerns. Join us this October at Marina Bay Sands, Singapore with the top business leaders and decision makers from across organisations and sectors already benefitting from securing their cloud with confidence. Access 150+ cutting-edge suppliers showcasing the latest technology solutions and services, including Barracuda, BT, Sophos, Akamai, Sangfor, Fuijitsu, Imperva, Leaseweb and many more. Attend and learn from over 40 real-life case studies, including security focused streams covered in the conference agenda include: Compliance and Regulation, Data Protection, Infrastructure Security, Compliance Monitoring, Cloud Identity and Access Management (IAM), and Cyber Security. Learn from dozens of expert practitioners from blue chip companies, service providers and leading organisations including Dell, Baidu Research, HSBC, INTERPOL and Carlson Wagonlit Travel. Visit the award-winning co-located events, Cloud Expo Asia and Data Centre World, the largest gathering of 13,000 senior IT professionals in Asia. Come and join the CISOs, Heads of IT Security, cloud architects and senior executives from organisations across industry sectors who will be attending Cloud Security Expo, Singapore 2016. 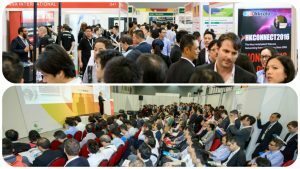 Singapore, September 21, 2016 /ChinaNewswire.com/ - Join us this October 12-13 at Marina Bay Sands, Singapore for Asia's largest and most influential gathering of Data Centre expertise. Expect two power-packed days of invaluable knowledge sharing, education and business, completely free of charge. At the event, network with thousands of your peers, industry visionaries, leaders and people who have faced – and overcome – the same challenges as you. Be the first to experience Asia's first ever, live and fully functioning Green Data Centre. Housing products from over 20 sponsors, the DCW Green Data Centre is a live interactive feature that showcases the practical implementation of products from cooling units and fans, to cables and perimeter fencing. This is the only feature of its kind at any exhibition in the world, showing key data centre components operating in their natural environments. Experience incredible networking and problem-solving opportunities with thousands of your peers from IT Professionals from MNCs, enterprise, public sector to SMEs making real data centre strategy decisions, find it all at Data Centre World 2016. 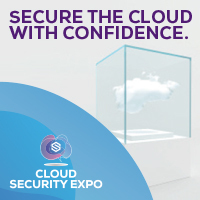 Visit our industry-leading sister events for free on the same ticket access – Cloud Expo Asia, and brand new launch event Cloud Security Expo, covering the critical issues of keeping cloud safe and secure. Whether you are responsible for a server room or a tier 4 data centre, or anything in between. 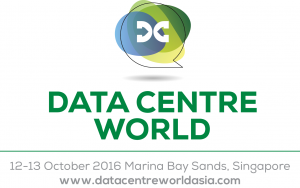 Wherever you are on the data centre spectrum, you and your whole team will find answers to your questions at Data Centre World, Singapore 2016. New York, USA, September 20, 2016 /ChinaNewswire.com/ - BZ Media LLC announced today that InterDrone The International Drone Conference & Exposition held at the Paris Hotel in Las Vegas Sept 7-9 drew 3,518 attendees from 54 different countries on 6 continents. The event featured 155 exhibitors and sponsors in more than 230 booths. FAA Administrator Michael P. Huerta gave the Grand Opening Keynote speech to thousands gathered on the first day. Exhibitors and sponsors included a cross section of the entire commercial drone industry including AeroVironment, PrecisionHawk, Yuneec, Intel, SenseFly, Insitu, Parrot, NovaTel, 3D Robotics, eHang, Autel, AUVSI, Hubsan, C-Astral, Brother, Airbus, SlantRange, Kodak, Flir, Parrot, AEGis Technologies, Sentera, and pavilions from Iowa, North Dakota and Nevada. 39 companies announced or showed new products at InterDrone, including Yuneec, PowerVision Robotics, Parrot, Intel, Epson, Flir, Insitu, Lidar USA, Hubsan, Leptron, and Kodak. The showstopper was displayed by Japanese robotics company Prodrone, making its first appearance in the United States, with a large hexacopter sporting two robotic arms with claws capable of carrying 44-pound loads for a flight time of up to 30 minutes. InterDrone featured the second annual Women in Drones Luncheon networking event which was sponsored by Intel and tripled attendance to more than 180 participants. The show debuted a special session called Diversity Rising: Opportunities for Minorities in the Commercial Drone Industry, sponsored by the State of Nevada Governor’s Office of Economic Development (GOED), and held a STEM session called Drones, Software, and Data Analysis in STEM Education – Tomorrow’s Workforce. InterDrone 2017 will be held at the Rio Hotel and Casino in Las Vegas from September 18-20, 2017. More information about the show is at www.InterDrone.com. For information on exhibiting or event sponsorships, please contact Ted Bahr at [email protected] or +1 631-421-4158 x101. Shanghai, China, September 20, 2016 /ChinaNewswire.com/ - This 5th edition of Wine Days will provide the opportunity to illustrate Sofitel's commitment to wine by means of a variety of events that will enable everyone to make daring new discoveries or deepen their knowledge of the world of wine. On the occasion of its wine days, Sofitel commissioned a study in 2015 with the French Institute of Public Opinion (IFOP) about the art of wine. This exclusive study in two parts (Image and Imaginary of Wine in 2015 and Wine Consumption in 2016) had a study sample from seven countries (Australia, Brazil, China, France, India, Russia, and the United States). Last year, the study revealed compelling findings about the image and imaginary of wine. This year, Sofitel has focused on how wine is currently consumed. Brand new graphics will be unveiled on social media under the hashtag #SofitelWineDays. Sofitel Wine Days tastings represent a unique experience for wine lovers, providing the ideal framework to benefit from the brand's know-how, thanks in particular to its 50 years' experience that has allowed it to refine its expertise, its master sommeliers, a high quality wine library and exceptional wines served at the event. Now in its fifth year, the common theme of this celebration is to pay tribute to wine. In Greater China, the 2016 edition offers guests a dazzling programme of events, which have been specially designed for the occasion. Numerous tastings, events, discoveries and meetings will be held at Sofitel hotels, offering diverse wine-oriented experiences to guests. The First Master of Wine in Mainland China, Fongyee Walker, has been invited as a guest sommelier. She will conduct wine master classes and participate in opening and closing wine events at Sofitel Wanda Beijing and Sofitel Legend People's Grand Hotel Xian, as well as creating a wine dinner menu with French Chef de Cuisine Fatela Yohan at Heritage French restaurant at Sofitel Wanda Beijing. 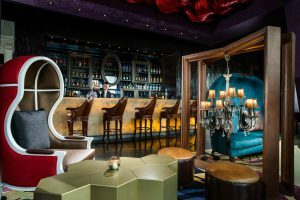 Sofitel Kunming will host a “Dining in the dark” event, featuring a creative menu with wines and cocktails, on 28th and 29th October. At Sofitel Nanjing Galaxy, on 14th October, guests will be able to explore the pleasurable experiences hidden in the less familiar world of French organic wines including Gérard Bertrand and Château l'Hospitalet. Customers can also attend “After-work Wine & Saxophone” evenings, savour wine-based cocktails and enjoy gastronomic meals. Sofitel Wine Days in Greater China will delight guests with a number of other surprises, for the enjoyment of amateurs and aficionados alike! The complete study 2015 – 2016 « Sofitel Wine Days » is available on request.